WWI Profile: Herman Dan Fulford 1892-1977 | Friends of Fort Caswell Rifle Range, Inc.
Herman Dan Fulford was born and raised in Supply, NC. A family tree is located in FamilySearch. Herman’s WWI Draft Registration form shows he was married with one child, working at a sawmill in Supply. 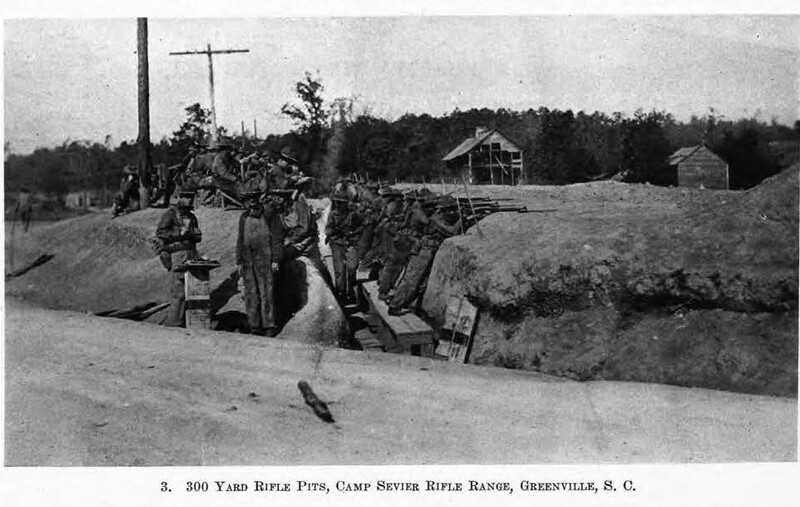 After receiving orders to report to the military board on September 18, 1917, Herman was assigned to Company M, 119th Infantry, 30th “Old Hickory” Division and trained at Camp Sevier, SC. Refer to the previous posts outlining the history of the division and their famous Hindenburg Line assault. The previous posts describe the details of the operations at the time. No information was found to pinpoint the exact date of Herman’s injury. What is known is that it was severe and he did not recover completely. Pvt Herman Dan Fulford left Base Hospital No. 29 in London on December 26, 1918, and boarded at the Tillbury Docks, England, on Saxonia with other sick and wounded soldiers [source: ancestry.com]. He was honorably discharged on January 19, 1919, with a reported 25% disability. Later census records show that Herman Fulford was working in the fishing industry. He and his wife had several more children and remained in the Supply, NC, area. Herman Fulford passed away at age 84. His obituary cannot be found online, but his wife, who lived to age 94, included him in her obituary from The Brunswick Beacon [Shallotte, NC] 4 June 1992, p.10A. Lovie Jane C. Fulford, 94, of Route 1, Supply, died May 31 in The Brunswick Hospital. The funeral was June 2 at Sabbath Home Baptist Church, Supply, with the Rev. Sidney Britt and the Rev. Weston Varnum officiating. Burial was in the church cemetery. Mrs. Fulford was born in Supply on Feb. 1, 1898, the daughter of the late Jim Thomas and Julia Fulford Caison. She was a member of Sabbath Home Baptist Church. She was preceded in death by her husband, Herman Fulford, and a daughter, Alene Robinson. Her survivors include a son, Jabie Fulford of Supply; five daughters, Beatrice Fulford, Violet Fulford, Mable Corbett and Vera Carlisle, all of Supply, and Marie Del Re of Washington, D.C.; 16 grandchildren; 24 great-grandchildren; and 11 great-great-grandchildren. 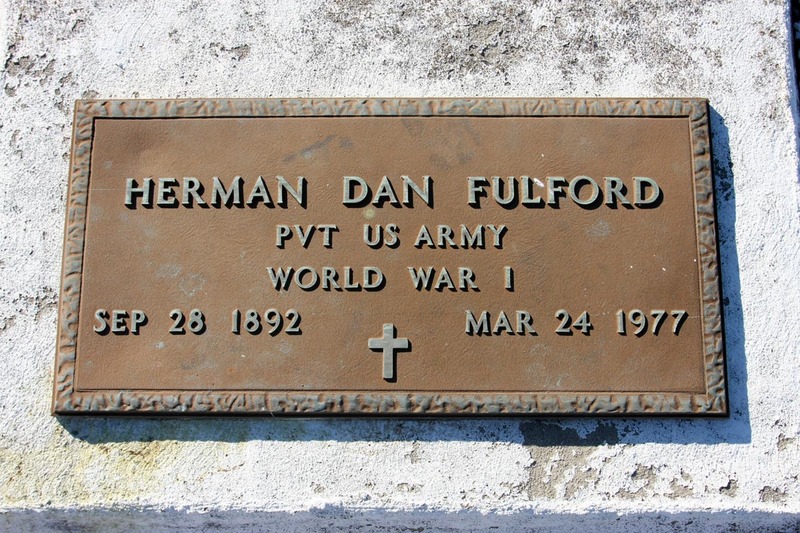 Herman Dan Fulford was laid to rest in Holden Beach, NC. Military honors are shown.